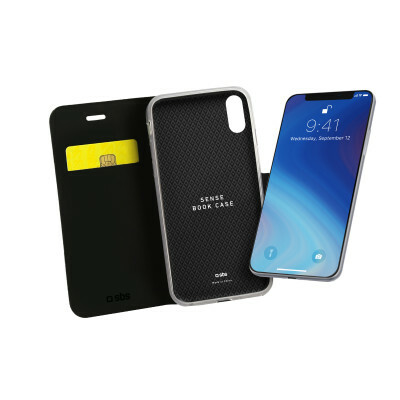 This Book Sense case for iPhone XS Max phones protects the touchscreen from scratches and dirt. In fact by closing the cover of the book, it is possible to isolate the entire screen surface. Opening the case is quick, easy and convenient: just a small movement for access to all the phone functions. The hole on the back allows the camera and flash to take pictures at any time. 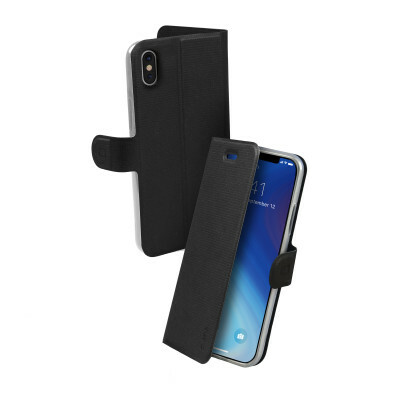 The base of this case turns into a practical stand for holding up your smartphone. 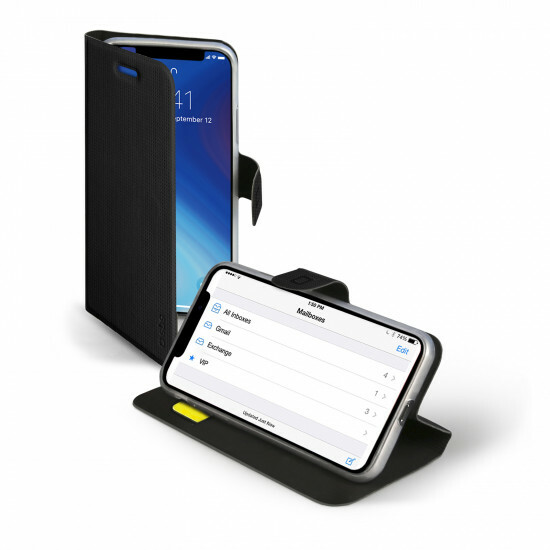 With the stand in place, watching videos on your phone will be completely comfortable.